SMB3, Windows Storage Spaces and more! 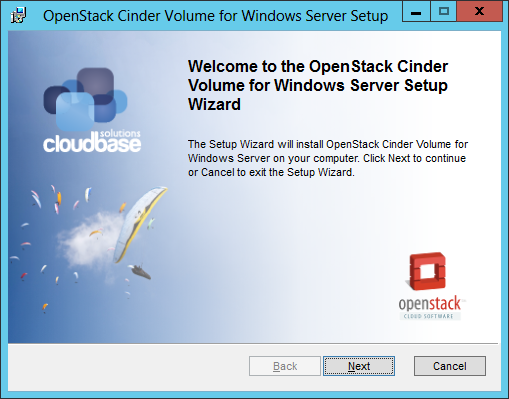 Microsoft Windows Server includes powerful storage features for enterprise customers that can be easily integrated in an OpenStack context thanks to our Cinder drivers. Storage Spaces Direct, included starting with Windows Server 2016, provides support for hyper-converged environments, reducing drastically the TCO while providing great scalability and fault tolerance. This is achieved by distributing storage across standard disks provided by the datacenter hosts instead of requiring expensive dedicated SAN hardware. Our Windows Cinder driver also supports Storage Spaces, available since Windows Server 2012 R2 and providing the same features and tools described above but without distributed storage, offering a great match for SAN and other traditional types of storage. Last but not least, we also support the iSCSI target role included in Windows Server 2012 and above. Contact us and explore different commercial support options for your on premise, hybrid cloud or datacenter. Expand the section below to explore all the supported features. Please be aware that the accuracy / completeness of the following (and given the basic characteristics of a wiki) is generally evolving and given its state of flux should be considered in draft state. Please refer to respective vendor’s documentation for a more authoritative indication of support.